The advance of jihadist fighters across a wide band of territory in eastern Syria and northern Iraq is fueling a massive humanitarian crisis in the region. Fighters from the Islamic State in Iraq and Syria (ISIS) are terrorizing civilian populations and persecuting religious and ethnic minorities. Despite the U.S. military intervention in Iraq, millions remain vulnerable. Isobel Coleman, CFR’s senior fellow and director of the Civil Society, Markets and Democracy Initiative, offers three things to know about the ongoing crisis. The Broader Crisis: The situation in Iraq is part of the larger crisis unfolding in the region as a result of Syria’s civil war, says Coleman. 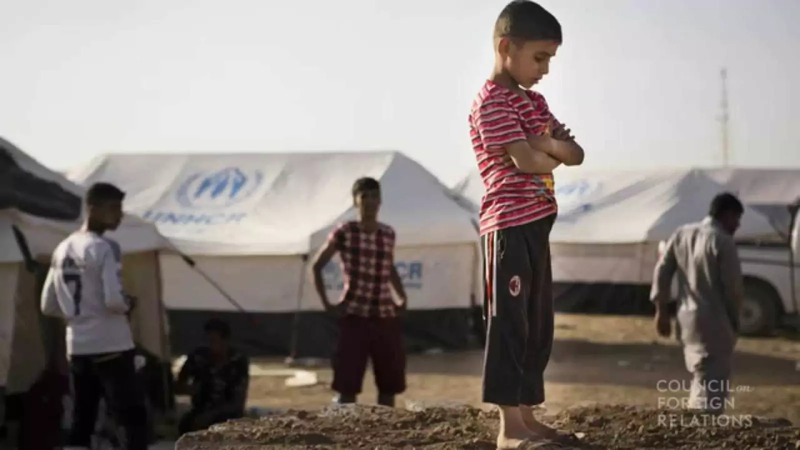 The conflict in Syria has displaced an estimated nine million people, nearly a third of whom have fled into neighboring states, including Iraq, Lebanon, Jordan, and Turkey. "ISIS rampages in Iraq exacerbate this already dire situation," Coleman says. Yazidis Still at Risk: The U.S. intervention in northern Iraq may have prevented ISIS from killing scores of Yazidis trapped in the mountains, but the "easing of their situation hardly marks the end of the crisis," explains Coleman. Thousands are heading for camps in Syria and Kurdistan," she says, and ISIS remains a threat to "millions of others in the region." A Multi-Pronged Strategy: A resolution of the humanitarian crisis requires not only the military defeat of ISIS in Iraq, but also "a political solution that creates a cross-sectarian coalition against jihadism," says Coleman. This coalition should represent the interests of the Sunni groups that have recently aligned with ISIS and should garner the support of regional powers like Iran and Saudi Arabia. She adds that ISIS must also be defeated in Syria, where the jihadist group could reorganize and continue to wreak havoc.